Non li vedeva da anni, li ha felicemente ritrovati ora a pochi giorni di distanza gli uni dagli altri, Caravan e Soft Machine: ne scrive al suo blog Phil Howitt. 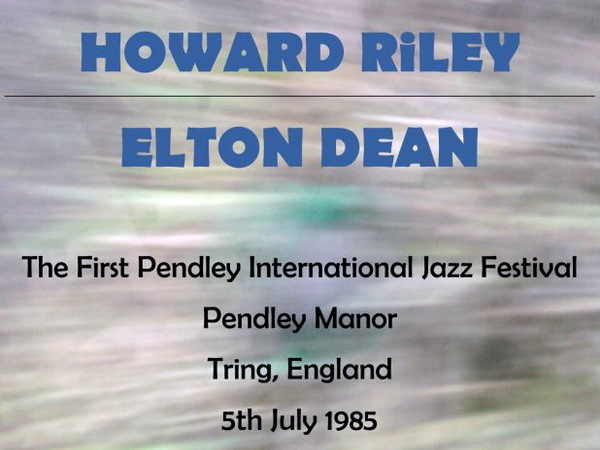 Un prezioso frammento di un duetto tra Elton Dean e Howard Riley catturato d'estate a un festival jazz nell'Hertfordshire (Regno Unito) nel 1985: lo ha trasmesso a suo tempo la BBC, lo rilancia ora Miloš Latislav tramite Incostant Sol. 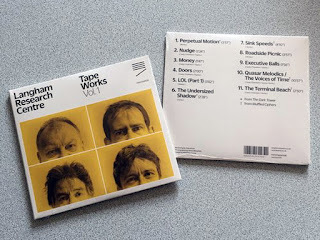 Lo spirito e le invenzioni del glorioso BBC Radiophonic Workshop fervono più che mai vivaci ed attuali nelle pratiche del Langham Research Centre - Felix Carey, Iain Chambers, Philip Tagney e Robert Worby - che pubblicano in questi giorni un primo splendido compendio del loro intendere e volere: Tape Works vol. 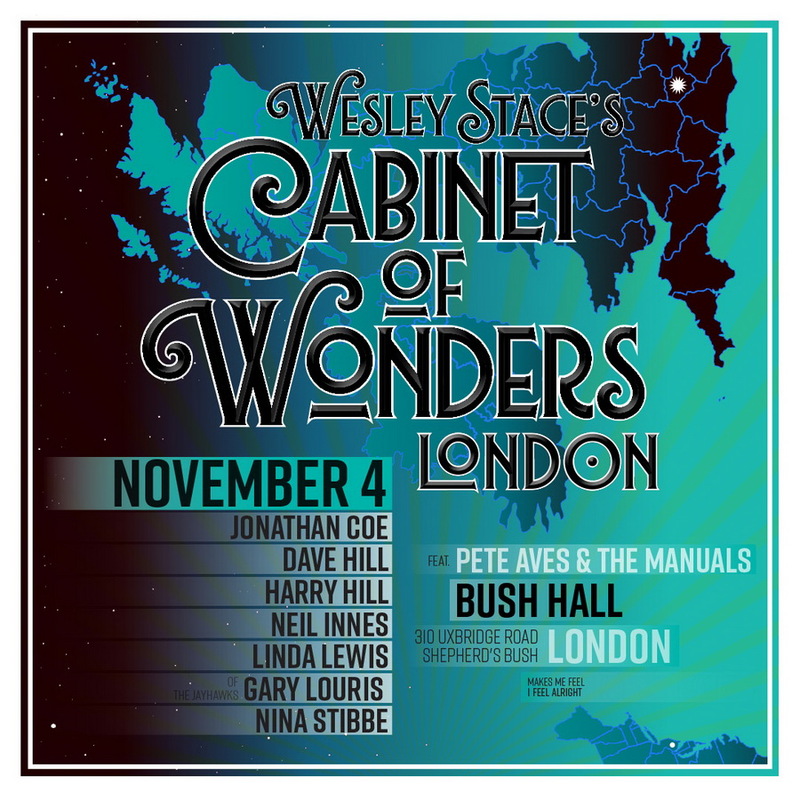 1, per la londinese Nonclassical. Langham Research Centre came together in 2003 with the purpose of using a studio as their instrument: a studio with microphones and also, crucially, several ¼” tape machines. From the start they were interested in manipulating sound on tape and in focussing on one sound source, or a small number of sounds. Like an early music group’s use of historic instruments, LRC continue to work with obsolete equipment including tape recorders, gramophone cartridges and sine wave oscillators, to perform authentic versions of 20th century classic electronic repertoire by John Cage, Alvin Lucier and others. They also use this instrumentarium to compose new music, which is the focus of their recent release on Nonclassical, Tape Works Vol. 1. 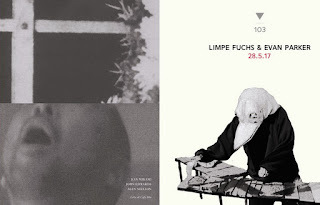 The album has a range of works from their early “musique concrète” miniatures to recent modular works of extended duration. It follows their 2014 release for Sub Rosa, Early Electronic and Tape Music, featuring LRC's new releases of John Cage's music. It documents the origins of Langham Research Centre as a late night experimental gathering in BBC Studios, through to their present day long-form radiophonic works including The Dark Tower, inspired by the life and work of Nikola Tesla, and Muffled Ciphers, inspired by J G Ballard’s most experimental novel The Atrocity Exhibition (1970). From doors to laughter, field recordings and found sound, nothing is out of bounds on this unique sonic journey. Tra l'aprile e l'agosto di quest'anno, senza particolari clamori (né astrali seduzioni) sono tornate in circolazione due graffianti collezioni sonore di Amos and Sara - ovvero Jim Welton e Chris Gray - note almeno in parte a chi a suo tempo seguì le vicende dell'era artpunk/D.I.Y. londinese dei primissimi anni Ottanta e di una delle sue band più esemplari, The Homosexuals. Allora erano audiocassette autoprodotte in poche copie originali - ma se ne incoraggiavano altamente la duplicazione e la circolazione non ufficiale - mentre oggi sono album in vinile a tiratura limitata distribuiti nelle boutique del disco: Amos And Sara Sing The Private World Of Amos e Amos & Sara... Invite To 'Endless Latino'. Amos and Sara were one of the twentieth century’s greatest musical polymath duos, equally adept at composing, conducting, performing and theory. Their style was similarly varied, ranging from the dense expressionism of their early one-act operas, to the vast symphonies of their maturity. Like several important composers of the period, they were opponents of bourgeois culture, with a political commitment to making ‘useful’ music (Gebrauchmusik) that was direct in its appeal, and in which they succeeded with high creative intelligence. Their standing, as seminal figures of modern music, was partly undermined by their diversity, but their reputation never really declined, and has undergone a huge reappraisal in recent years. 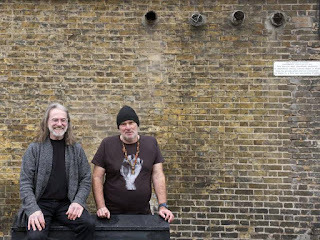 Dopo quella con Slapp Happy a inizio anno Jean-Hervé Péron e Zappi Diermaier tornano al Cafe Oto londinese per una residenza artistica a proprio nome: faUSt! Non è rimasto fatto isolato la rilettura del lavoro westbrookiano A Bigger Show da parte di un ensemble orchestrale diverso dalla Uncommon Orchestra di origine. 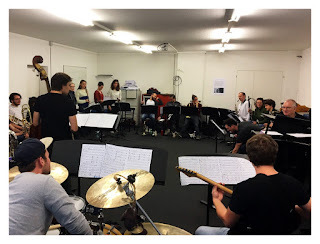 Sull'esempio dell'Artchipel l'anno scorso a Milano debutta questa settimana la versione alla svizzera preparata a Lucerna nei giorni scorsi da Mike e Kate Westbrook assieme alla Big Band der Hochschule Luzern: stasera un concerto di riscaldamento presso la Jazz Cantine, e domani la partecipazione ufficiale al festival Unerhört a Winterthur. 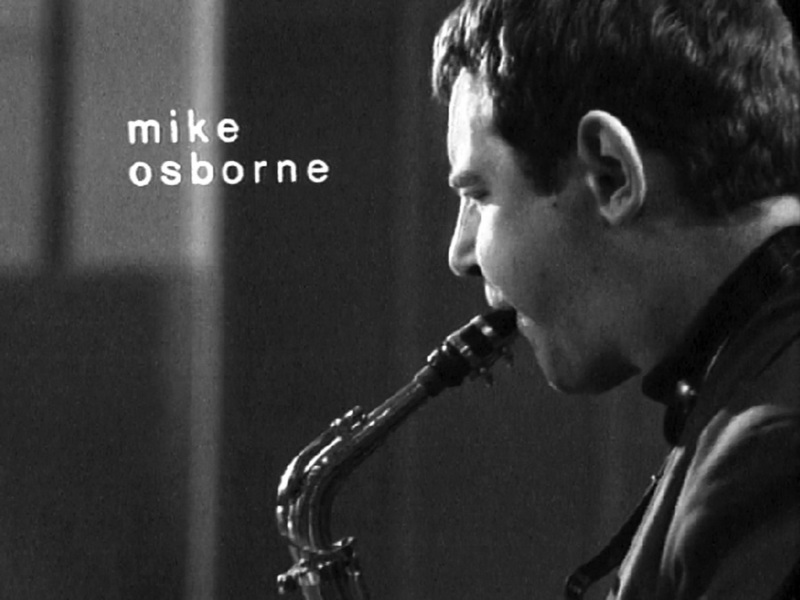 Umfassender als irgendein anderer Musiker verkörpert Mike Westbrook den individuellen Weg Grossbritanniens im Jazz und dessen zunehmende stilistische Selbstfindung seit den späten Fünfzigerjahren. Schon durch seine Herkunft aus der bildenden Kunstszene war Westbrook erster Repräsentant eines typisch britischen Wegs in die Musik der Nachkriegszeit, die eine einzigartige Vielfalt von Inspirationsquellen mit einem unnachahmlichen Sinn für Theatralik zu verbinden verstand. Zwischen 1960 und heute komponierte er eine eindrückliche Reihe ambitionierter, geradezu stilbildender Programme für Grossformationen, die ihn vom Pariser Moulin Rouge über den Dichter William Blake zum Schauspieler Peter Lorre, von den Kompositionen Duke Ellingtons über die Beatles bis zu den Opern Rossinis führten. Hauptperson in den meisten dieser Produktionen ist seit den frühen SiebzigerJahren und bis heute Westbrooks Frau Kate, die als erfolgreiche Sängerin und Hornistin auch verschiedene Libretti für ihren Mann geschrieben, und dabei gerade die besten und erfolgreichsten seiner gross-formalen, konzertanten Werke entscheidend mitgeprägt hat. Kaum ein bedeutender britischer Solist, der sich zwischen den Sechziger- und den Achtzigerjahren nicht in einer der Gross- oder Kleinformationen der beiden die Sporen ab- bzw. 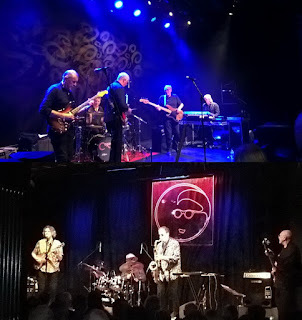 Lorbeeren hinzuverdient hätte, und noch heute lassen sich die Wurzeln vieler Eigenheiten und Errungenschaften des typisch Britischen im europäischen Jazz auf die Westbrooks zurückführen. In den letzten Jahren ist es um diesen überragenden Stilisten und Bandleader ruhiger geworden. Dass wir ihn und seine Frau Kate für die Big Band der Hochschule Luzern gewinnen konnten, ist der gemeinsame grosse Stolz der Hochschulleitung und des Festivals: Zusammen mit einer ausgewählten Schar von Masterstudent*innen wird er Teile aus seiner brandneuen Komposition A Bigger Show einstudieren und am Eröffnungsabend des diesjährigen unerhört!-Festivals in Winterthur zur Aufführung bringen. 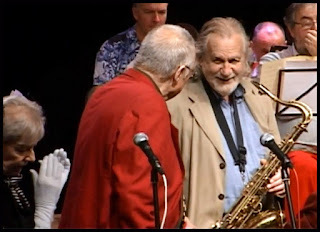 Richard Williams ricorda Lou Gare ('The Uncommon Tenor') a poco più di un mese dalla scomparsa; lo fa al blog The Blue Moment, consigliando l'ascolto di un suo bel solo tratto da un concerto del 2014 della Uncommon Orchestra di Mike Westbrook. Il brano è D.T.T.M., rivisitazione di un caro tema di On Duke's Birthday successivamente dedicato a Danilo Terenzi e Tony Marsh. Scrive Williams: "It’s a quietly phenomenal performance, devoid of rhetoric but bursting with invention, the soloist’s thoughts unfurling at his own pace and expressed with a lovely laconic warmth. I don’t think I’ve heard a more subtly dramatic example of a tenorist working with a big band since Wayne Shorter emerged from the swirling mists of Gil Evans’ The Barbara Song in 1964." 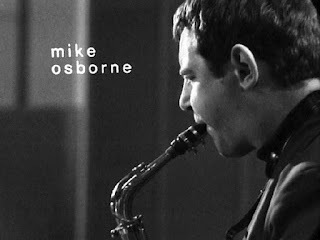 Volendo, su YT si rintraccia anche un passaggio solista di Gare in una versione di Manje (Chris McGregor) offerta dalla Mike Westbrook Big Band nel 2012. 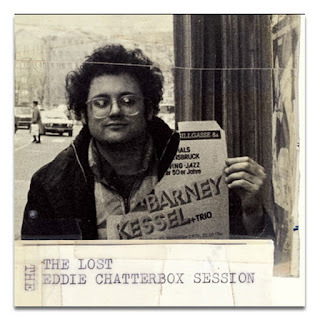 Dopo There'll Be No Tears Tonight tocca a un altro classico di Eugene Chadbourne guadagnarsi una riedizione nel lussuoso catalogo dell'etichetta d'arte fondata da Jim Dempsey e John Corbett: è The Lost Eddie Chatterbox Session, disponibile finora quasi esclusivamente presso gli impagabili bazaar dopoconcerto del Nostro, in versioni uniche in audiocassetta o cdr. A ricordare l'origine dell'album scrivono Corbett e Dempsey: "Dateline: Christmas Day, 1977, San Francisco. On an ailing quarter-track tape deck, in a marathon session, Eugene Chadbourne recorded a series of slide guitar solos playing compositions by the likes of Thelonious Monk, Charlie Parker, John Coltrane, and Ornette Coleman, along with a few standards and originals. Although the recording quality was imperfect, the playing was brilliant – enough so that Chadbourne was eventually convinced, a decade later, to issue it as a cassette tape, which he sold at concerts. 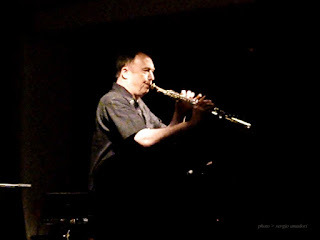 Long precursing the slash-and-burn-and-reinvent approach to jazz songbooks now familiar from groups like News From Lulu, Chadbourne leapt into each short track with giddy abandon, introducing the piece with a nerdy spoken credit line, then ripping and tearing at it adoringly, his improvisations forcing a new view of the familiar melodies. Anyone familiar with Chadbourne’s wonderful duets with Frank Lowe on Don’t Punk Out!, waxed in the same period, has a general sense of his modus, but the complete commitment he gave to the project on The Lost Eddie Chatterbox Session makes it a special and wholly unique item in the manic master’s chronicles. 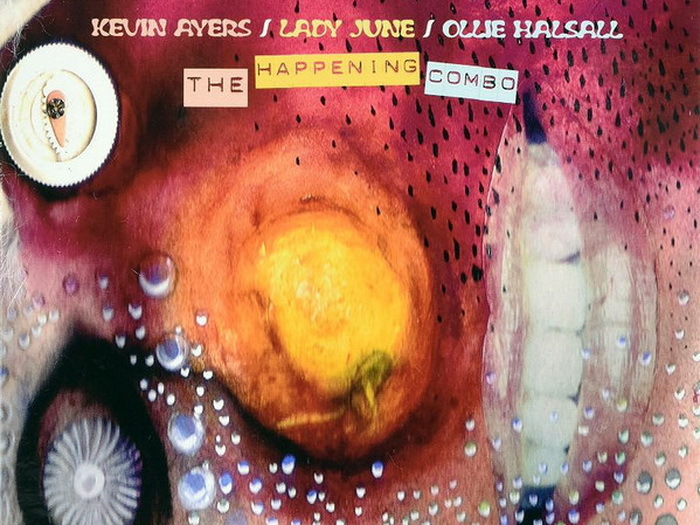 On this special CD reissue, the tracks have been tenderly but respectfully restored, eliminating some of the most distracting audio flaws but leaving the inconceivable artistry intact. 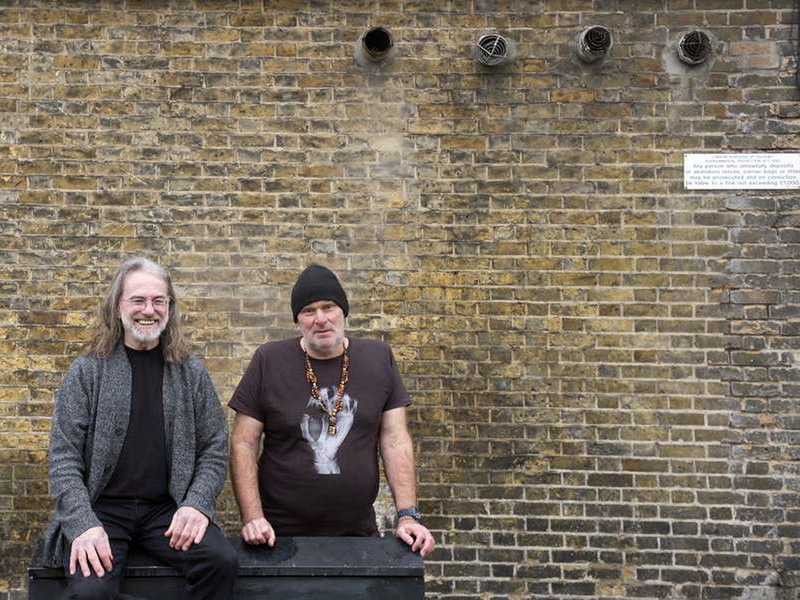 Four never-released tracks have been added to the jam-packed program, as well as the original cover photo and Chadbourne’s unreadable track listing, which is carefully reproduced on the interior." Fa oggi tappa al Mountain Stage di Charleston (West Virginia) il tour dei Pere Ubu di 20 Years In A Montana Missile Silo, e a sottolineare l'evento NPR Music mette a disposizione la registrazione trasmessa in diretta che in questo stesso luogo il gruppo effettuò la volta scorsa, circa 26 anni fa. Era l'ottobre del 1991, era da poco uscito Worlds in Collision e in formazione c'erano David Thomas, Jim Jones, Eric Drew Feldman, Tony Maimone e Scott Krauss. Formed in 1975, trend-setting avant-garage rockers Pere Ubu emerged from Cleveland, Ohio, with an eccentric sound that has sustained four decades of orchestral blue-collar rock, infused with synths, layers of guitar, and the distinct vocal style of David Thomas. Heard here is Pere Ubu's appearance on Mountain Stage with Larry Groce, recorded and broadcast live from Charleston, WV, on Oct. 6, 1991. 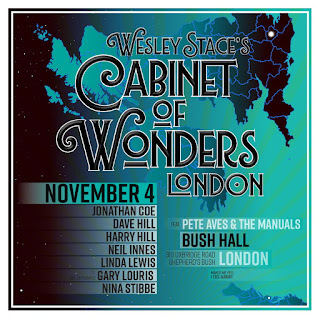 Led by vocalist David Thomas, the band powers through eight tunes in this 30-plus minute set featuring songs from their album Worlds in Collision, released earlier that year. 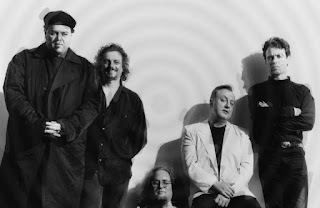 The touring arm of Pere Ubu is embarking on a U.S. tour with a new album, 20 Years In A Montana Missile Silo. The tour includes a scheduled return to Charleston for Mountain Stage some 26 years later. You'll hear their appearance in December via NPR Music, and a full European tour and further U.S. tour dates are scheduled for 2018. Frutto di una performance di Tim Hodgkinson e Yumi Hara al cospetto di un'opera di Kenneth Dingwall presso la galleria d'arte Laure Genillard in Fitzrovia a Londra tre anni fa proviene oggi l'album Schema-Sukima, autoprodotto per l'etichetta Bonobo's Ark, la stessa che nel recente passato ha pubblicato Artaud Beats, You Me & Us e Jump for Joy! 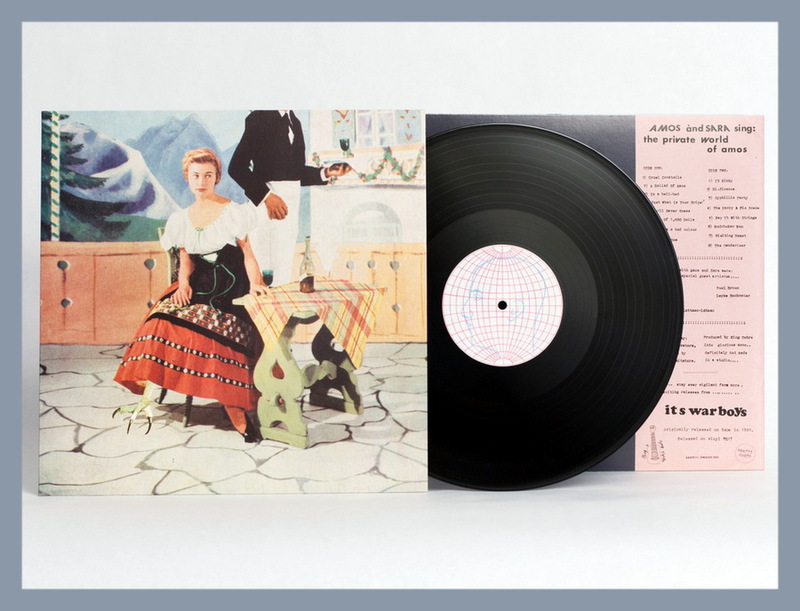 Tra le mille sorprendenti iniziative in atto nell'ambito di un nuovo piano di avvicinamento tra musicisti (o altro) e pubblico, The Residents hanno offerto il mese scorso tramite Cherry Red Records qualche copia dell'antologico 80 Aching Orphans da loro stessi autografata. I nomi sono quelli di Rez 1, A. Resident, R3 e R. Whatever. Extended 4CD anthology set chronicling the career of the legendary San Francisco experimentalists and curated with the band themselves, from the debut 1972 single to the band’s most recent album, The Ghost Of Hope. 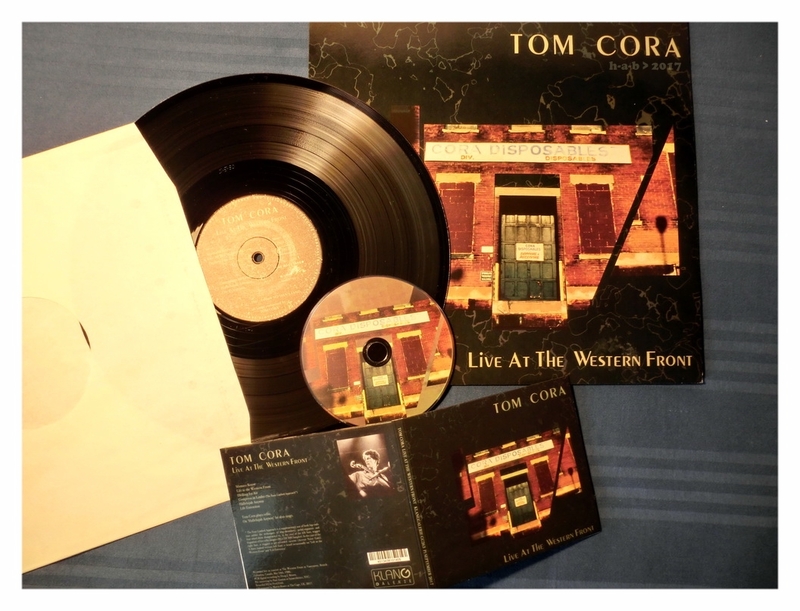 Singles, fan favourites, album highlights, live recordings and material never before available on CD. Detailed track-by-track sleevenotes, new imagery produced exclusively for this collection and an introduction from Homer Flynn of The Cryptic Corporation. 80 tracks across 4CDs, presented in hardback book package. Includes Santa Dog, Satisfaction, Constantinople, Diskomo, It’s a Man’s, Man’s, Man’s World, Hit The Road Jack, Don’t Be Cruel, Hello Skinny, Smelly Tongues, Jello Jack, Kaw-Liga, Rushing Like A Banshee, plus material from numerous classic albums. 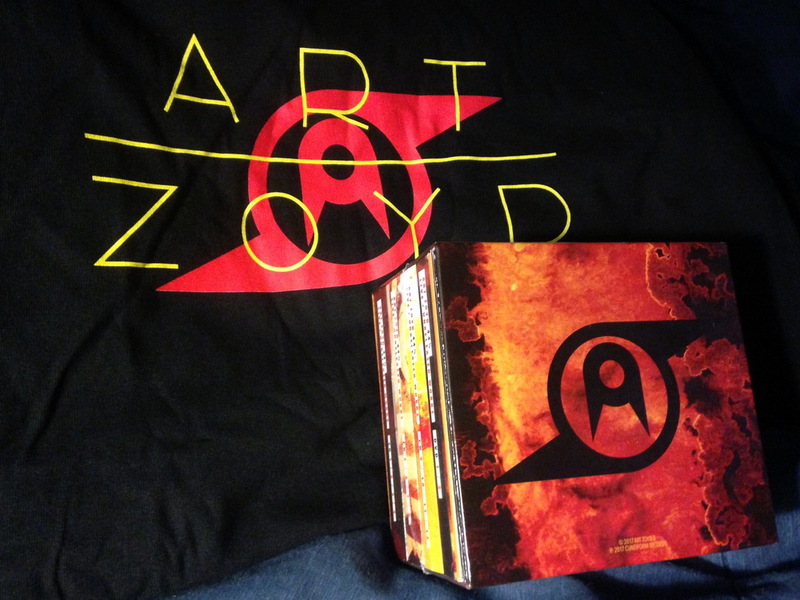 An ideal introduction for the curious, and a fresh perspective for the band’s dedicated fanbase. E' invece ampiamente disponibile, grazie anche alla sua disseminazione in digitale attraverso Bandcamp, la spettacolare antologia di lavori inediti e concerti dal vivo degli Art Zoyd prodotta con encomiabilissimo impegno da Cuneifom Records: 44 1​/​2: Live And Unreleased Works. Containing the collected works of Bruford on one extraordinary 6cd/2dvd-v box set, Seems Like A Lifetime Ago is a magnificent testament to one of the UK's most inventive and important progressive fusion bands. 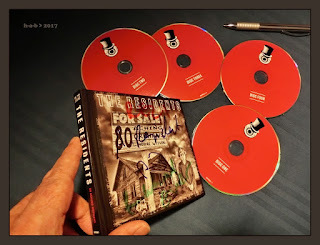 Featuring 2017 remastered versions of the albums Feels Good To Me (1978), One Of A Kind (1979), The Bruford Tapes (1979), and Gradually Going Tornado (1980), the set additionally includes the previously unreleased Live At The Venue, 1980 and the highly sought after 4th Album Rehearsal Sessions (also from 1980). 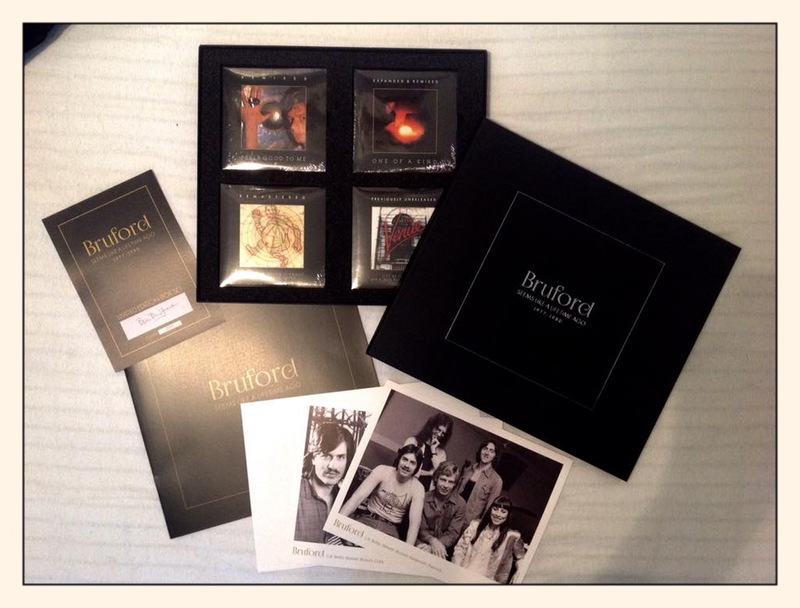 Showcasing the prodigious talents of Bill Bruford, Dave Stewart, the late Allan Holdsworth (who the album is dedicated to), Jeff Berlin and The 'Unknown' John Clark, the set includes a 16 page colour booklet (with band interviews and an essay written by Sid Smith), a reproduction concert poster, two black and white photo prints of the band, and a signed and numbered certificate of authentication. Feels Good To Me and One Of A Kind are available on both remastered CD and DVD-V, the latter featuring 2017 5.1 mixes by Jakko Jakszyk. 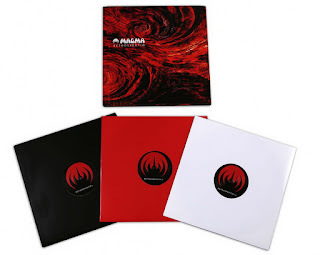 The first 10 years of Magma were celebrated on three memorable evenings in June 1980 at the Olympia theatre in Paris. This retrospective, reuniting most of the musicians who had performed in the group, was issued as two albums, Retrospektïẁ 1 / 2 (double) and Retrospektïẁ 3 (single). 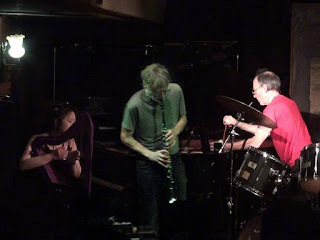 Issued first, Retrospektïẁ 3 comprises 3 titles: Retrovision, a long piece in the style of the album Attahk, in which the vocalists Stella Vander, Guy Khalifa and Maria Popkiewicz turn in a blazing performance over a driving rhythm section; a supercharged version of Hhai, in which the trio Lockwood / Paganotti / Widemann works miracles; and finally La Dawotsin, where, in a more muted register, the voice of Christian Vander triumphs through its mastery and profound sensibility. Recorded, like Retrospektïẁ 3, during the soirees at Olympia in June 1980, Retrospektïẁ 1 & 2 is an absolutely fundamental album in which Theusz Hamtaahk, the first movement of the trilogy of the same name, is presented for the first time. 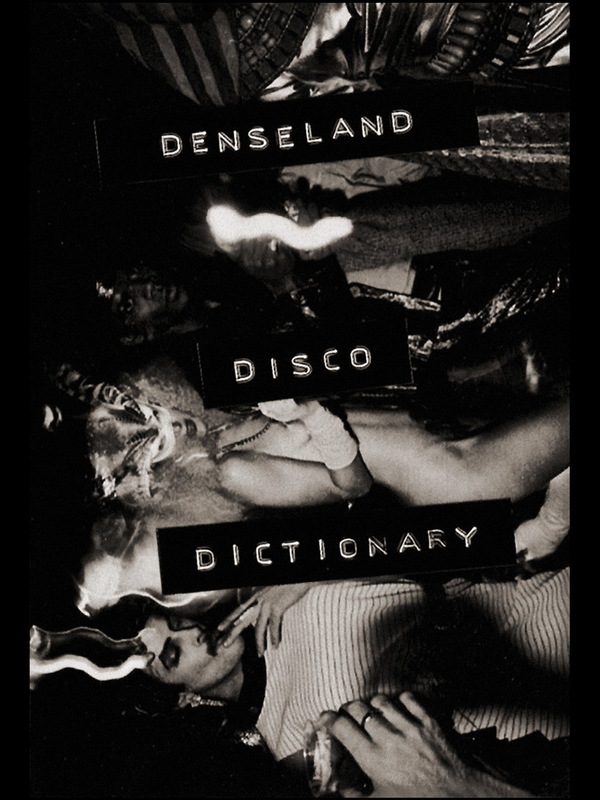 The second and third movements, Wurdah Itah and Mekanik Destruktiw Komandoh, were of course already well known. Although played in concert since 1974, Christian Vander had waited for years before recording it for posterity as he wanted every note to be as beautiful, magical, essential and definitive as possible. 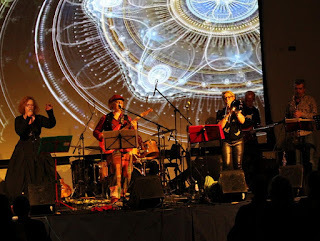 It is with the same respect for his music that he releases here the most successful version of Mekanik Destruktiw Komandoh, considered outstanding on account of two incredible improvisations from Bernard Paganotti and Didier Lockwood. Klaus Blasquiz, who did not perform on Retrospektïẁ 3, is the lead vocalist on this version – and justifiably so, since he was indeed the Magma singer who first sang these two masterworks. 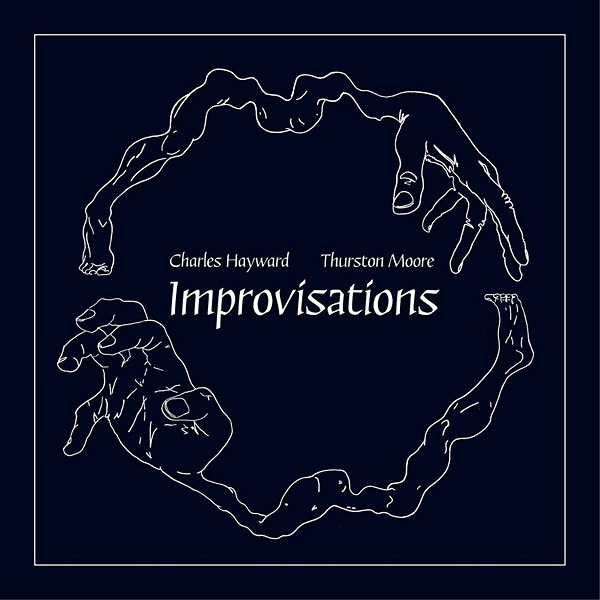 Cinquecento esemplari in vinile per documentare la terza volta insieme di Charles Hayward e Thurston Moore, un pomeriggio dello scorso febbraio, poche settimane prima del memorabile concerto londinese di This Is Not This Heat: Improvisations (Care In The Community Recordings, 2017). Earlier in 2017 iconic artists Charles Hayward and Thurston Moore spent an afternoon improvising. Charles Hayward on drums and Thurston Moore on guitar. This LP is the result. 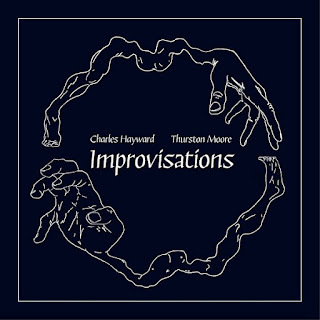 Improvisations is a vinyl-only release, limited to 500 copies worldwide. The seven tracks are unnamed but are identified by the side and order in which they appear, ie. A1-3 and B1-4. This was the third time Hayward and Moore played together. The session was recorded at Lynchmob studios through the famous 1969 Neve console originally built for the BBC. Si avvale del Max Brand Ensemble e della splendida voce di Himiko Paganotti il nuovo lavoro di Michael Mantler, con più di un aggancio estetico con The School of Understanding ed entrambi gli occhi aperti sulla situazione politica e sociale attuale: Comment c'est, fresco di stampa per Ecm (e già bollente nel lettore cd). Spiega l'autore: "Comment c'est (How it is) is a song cycle for female voice and chamber orchestra. Wanting to use French, a language that so beautifully lends itself to be sung, I had long been thinking of using a certain type of voice from French popular music in a totally different and serious context. 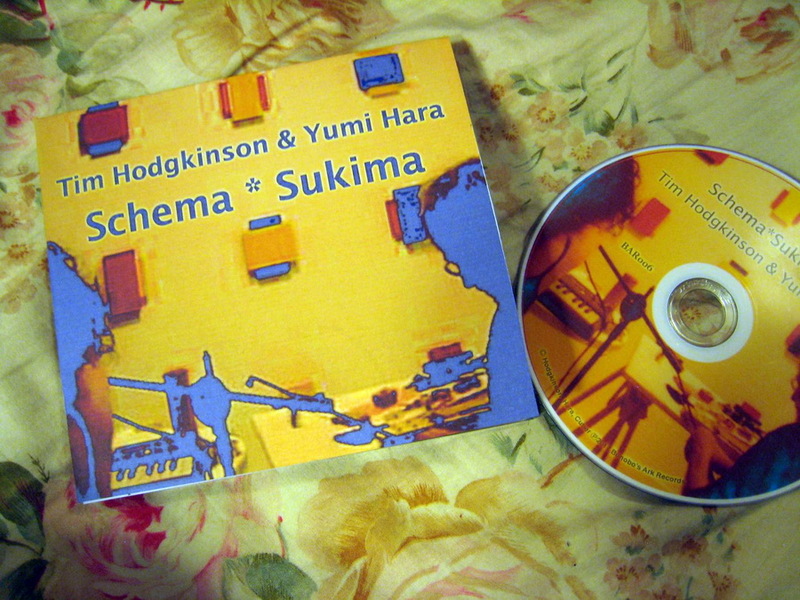 When the project finally came to be realized I luckily found a very interesting French electro-pop/jazz singer, Himiko Paganotti. She turned out to be the perfect choice, having a tremendous range, both musically and emotionally. Introduced to me by John Greaves, an old cohort of mine, she had worked with him and in many different contexts, including the French cult rock-jazz band Magma. Our first occasion to work together was at a concert in Paris during 2014 with the Chaos Orchestra of composers Daniel Yvinec and Arnaud Petit. This collaboration resulted in a lengthy work entitled Oiseaux de Guerre (Birds of War), which dealt with atrocities of the Iraq war. 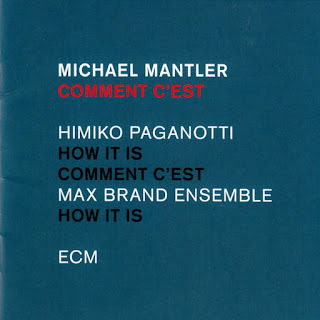 Continuing from there, wanting to explore the voice and the general theme further, I worked on creating Comment c'est. 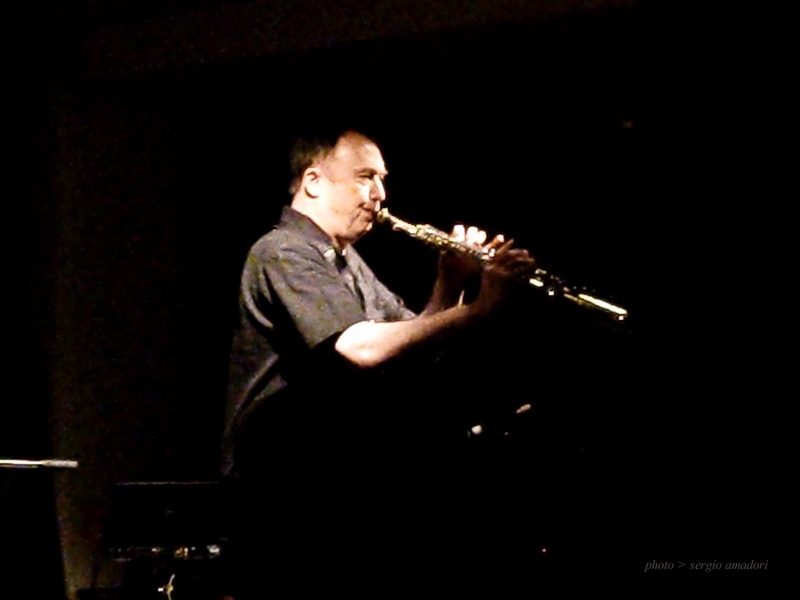 I have always kept my musical life as abstract as possible, never directly related to programmatic influences or themes, such as world politics, news items or personal life events. In hindsight, that was only partially successful. After all, I participated in the early Liberation Music Orchestra projects with Charlie Haden. For me, however, it was more the musical experience that counted, rather than the expression of political views. Of course, at the time, one marched on Washington, demonstrated against Vietnam and, in general, behaved anti-government, anti-business and anti-establishment. Certain critical political-sociological world-views eventually began to appear from time to time in my work, such as in Cerco Un Paese Innocente (another song cycle, this one in Italian), and especially in the extended sort-of-an-opera The School of Understanding, with some of its songs resurfacing, extensively revised, in this current project. No longer able to ignore outrageous recent world events, it had simply become impossible to continue creating music without reacting to this overwhelming and pervasive environment of hatred, greed and corruption. Comment c'est therefore concerns itself quite specifically with a range of serious subjects, such as war, terrorism, hostages, migration, poverty, fear and the generally sorry state of our contemporary world. I have always wanted to simply create music that is beautiful and that perhaps reveals something that might be deep within us all. Yet, with this music, in particular, I hope not only to touch those elusive feelings but also to more concretely tell How It Is." Dopo più di dieci anni John Butcher ritrova gli amici di Polwechsel - Burkhard Beins, Martin Brandlmayr, Werner Dafeldecker e Michael Moser - su istigazione e invito dell'Huddersfield Contemporary Music Festival, pronto al via tra pochi giorni nella lussuosa edizione del proprio quarantennale: "Music that you couldn’t really imagine before you find yourself in the middle of it." 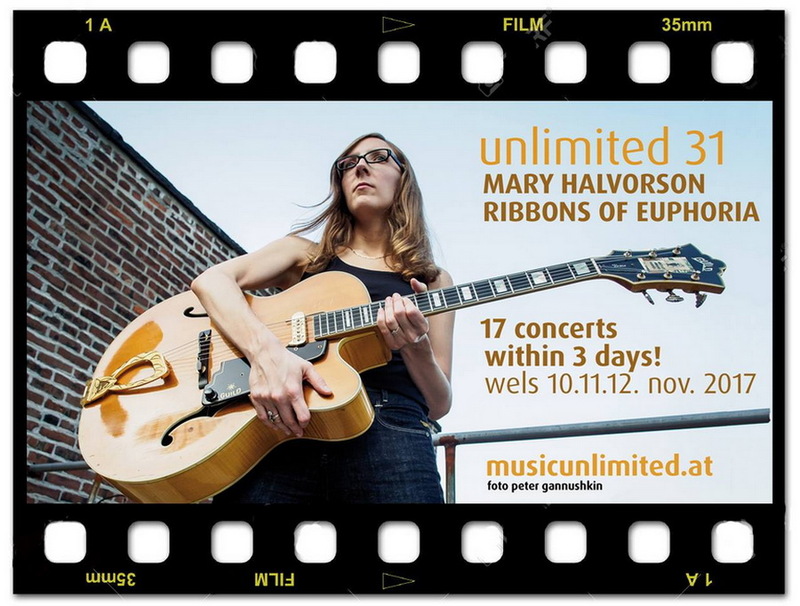 Inizia domani la nuova edizione del festival Music Unlimited a Wels (Austria), la trentunesima, stavolta con la co-direzione artistica di Mary Halvorson: Ribbons of Euphoria. 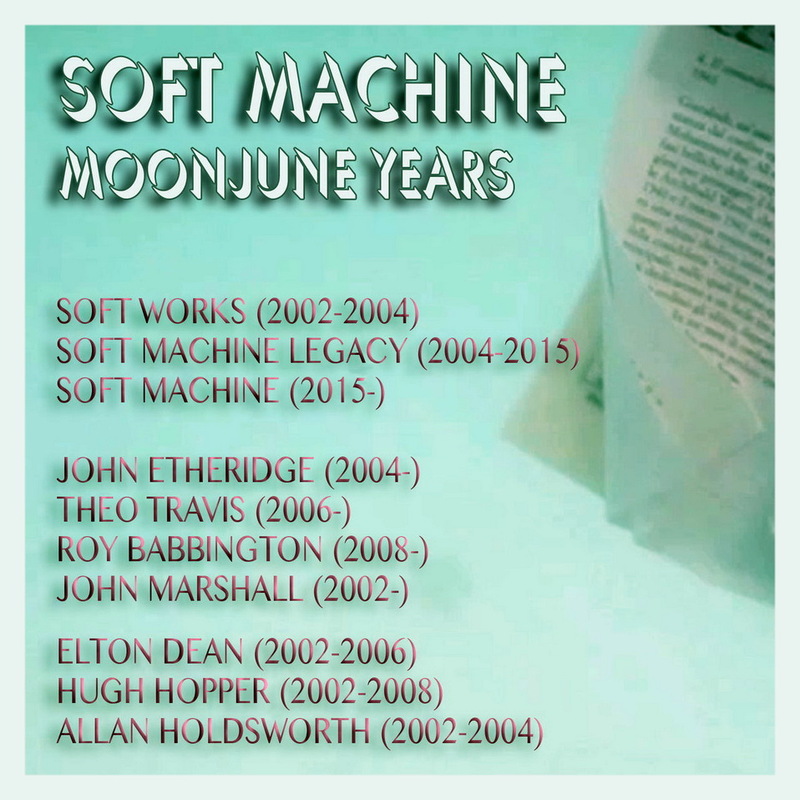 Alla ricca discografia di John Edwards si aggiungerà presto la documentazione di un particolarissimo concerto tenuto qualche tempo fa al Cafe Oto con lui e Alex Neilson dal bluesman nipponico Kan Mikami. L'album sarà disponibile a fine mese solo in vinile e a tiratura limitata, in una delle preziose autoproduzioni del club londinese. 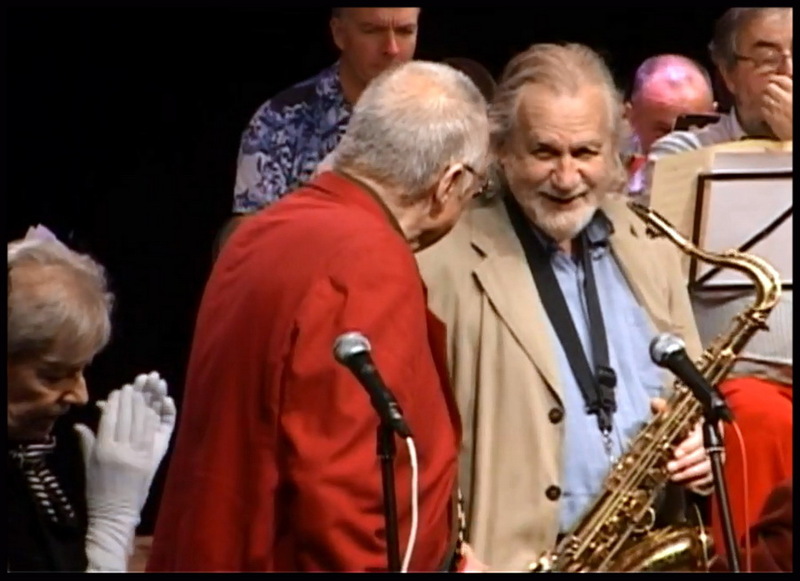 Presso il negozio digitale Otoroku ci si può procurare documentazione anche di un altro singolare concerto, la prima volta di Evan Parker assieme a Limpe Fuchs in un incontro tenutosi quest'anno a maggio. 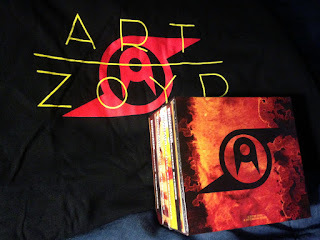 Una mini-antologia per puntualizzare l'abbandono - già due anni fa, ma non tutti se ne accorsero - del termine Legacy e soprattutto festeggiare la prospettiva di tornare negli Stati Uniti l'anno prossimo per un'importante serie di concerti: Soft Machine, MoonJune Years, con estratti dalle pubblicazioni prodotte negli anni dall'etichetta di Leonardo Pavkovic - anche quando il nome era Soft Works - e il video di Arianna Blue girato in Italia all'epoca di Burden of Proof. 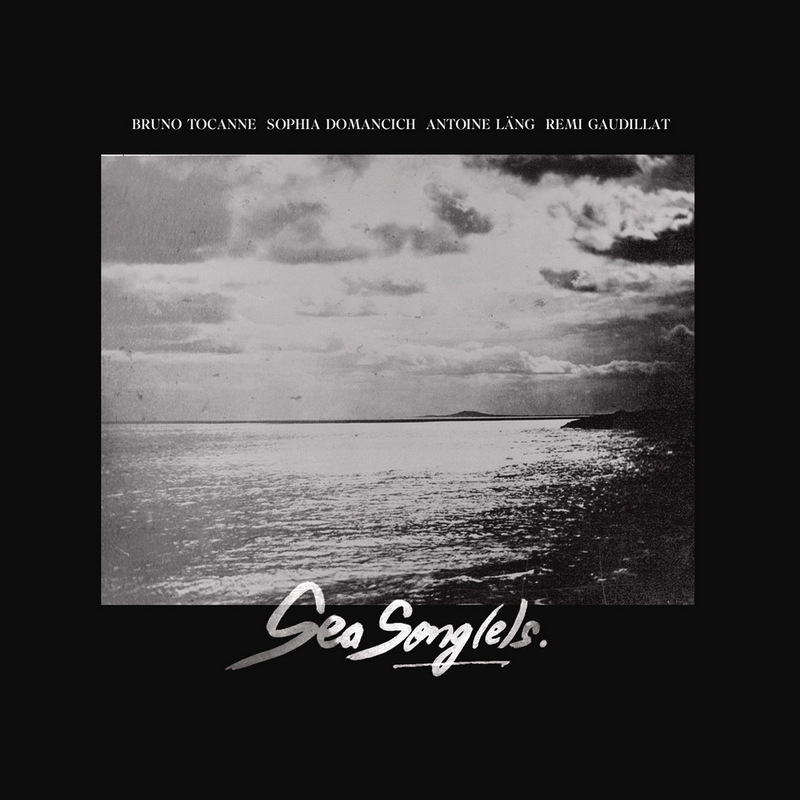 Esce finalmente allo scoperto il lavoro condotto da Bruno Tocanne assieme a Sophia Domancich, Antoine Läng e Rémi Gaudillat prendendo spunto e ispirazione da Rock Bottom, con l'approvazione di Robert Wyatt ("So beautifully refined - abstracted essences... The whole sound you make together is magical! 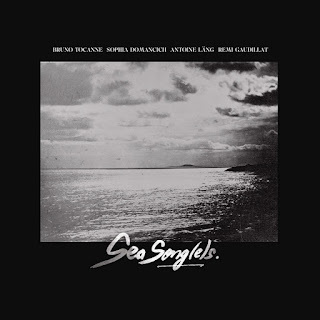 "​): Sea Song(e)s, su Cristal Records. Lo presenta Philippe Gonin: "Musique d’expérience, c’est une sorte de long poème, d’ode à une œuvre faite de songes, d’eau, de sons et d’espace. Un univers de fonds rocheux où se meuvent comme des créatures marines des climats, des paysages aquatiques (…) et même ce clin d’œil à double sens, cette C(arla) Song rappelant que, dans l’univers de Wyatt, tout comme dans celui de Bruno Tocanne et de ses complices, Carla Bley n’est jamais loin. Parfois, les textes de ce «chanteur-diseur à l’œuvre obscure» qu’est Marcel Kanche viennent éclairer ces songes marins de leurs mots qui disent l’errance mais aussi l’amour. «J’ai vu un homme tomber» nous dit Aimez-le, «Il tombe des cieux comme un ange de déveine.» Déveine que cette chute fatale qui, un soir de juin 1973, condamna Wyatt à passer le reste de sa vie dans un fauteuil. Mais l’ange tombé des cieux livra alors un des plus beaux albums auquel les années 1970 aient donné naissance. Les musiciens qu'a réunis Bruno Tocanne ont tous apporté, sans vaine virtuosité, sans démonstration inutile et sans pourtant renier leur talent, leur contribution à cette musique «qui n’est pas»… Les claviers de Sophia Domancich, la trompette ou le bugle de Rémi Gaudillat et les effets vocaux d’Antoine Läng recréent à leur manière cet édifice tantôt fragile, tantôt inquiétant, fait de halos sonores tour à tour denses ou épurés, qu’est la musique de Rock Bottom. Et quand bien même, au détour d’un titre on reconnaît une tournure particulière, des accords semblant familiers, Sea Song(e)s ne tombe jamais dans la pâle copie ou l’hommage stérile et trouve, à travers les mondes de Wyatt, son propre univers, sa propre couleur, une musique qui (...) sait nous donner le temps de respirer. «Aller vers l’espace, vers la lumière» confia Alfie à Robert. C’est vers cet espace, vers cette lumière que nous invitent les quatre musiciens. Œuvre onirique, Sea Song(e)s nous ramène enfin à sa source avec cette version dépouillée et sereine de Sea Song, comme un retour vers cette petite ritournelle mais dépouillée de ses atours... 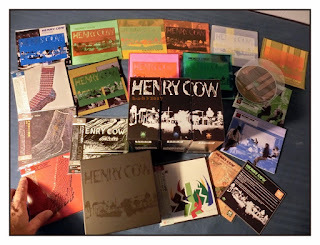 Sane songs for insane times écrit Jonathan Coe lorsqu’il évoque les chansons qui composent Rock Bottom. Et l’on pourrait sans doute en dire de même de cette belle œuvre qu’est Sea Song(e)s. Une création dans laquelle les musiciens nous invitent à voyager dans un temps hors du temps, dans un espace à la fois intime et ouvert sur le monde, un monde redécouvert, re-composé une œuvre simple, belle et ensorceleuse.»"
Un album che poteva essere dei Muffins - collocandosi dopo Palindrome e Mother Tongue, più o meno - ma che alla fine non lo è. In parte, almeno. Si intitola Man or Muffin ed esce in carico a Billy Swann, Paul Sears, Mark Stanley e Thomas Scott, alleati in virtù di quell'illustre passato insieme e di un'identica fricativa alveolare sorda a inizio cognome: 4S'd. In March of 2015, a rift in the time space continuum tore asunder the band known as 'The Muffins'. The music they were working on was cast apart and then reformed into two separate entities. One became a dog (a blue one to be precise). The other hid in the deep dark forest, grew pointy ears and thin little legs, pondering what it had become... 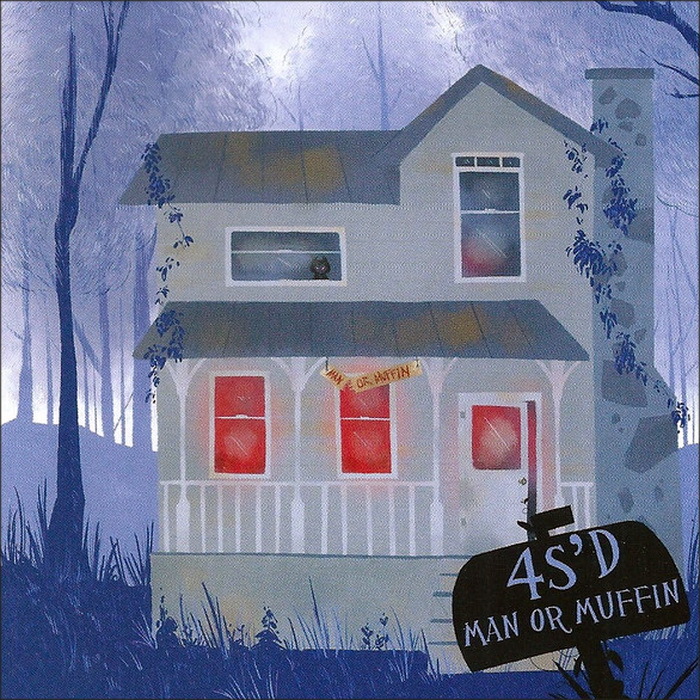 In time, the music came to understand that it was neither Man or Muffin. It was something old, something new, often happy, occasionally blue and at long last complete. A beneficio (anche) degli assenti offre una cronaca del convegno Canterbury Sound: Place, Music and Myth - svoltosi proprio a Canterbury, lo scorso 28 ottobre - uno dei relatori invitati, Phil Howitt. Lo fa in un post presso il suo blog, dove vien detto anche del funerale di Phil Miller, tenutosi a Londra il giorno prima. Dedicato al chitarrista è apparso ieri anche un buon pezzo sul britannico The Times. E sempre a Miller è dedicata un'estesa sezione del nuovo podcast della serie Canterbury Sans Frontières di Matthew Watkins, relatore anch'egli al convegno. Trent'anni dopo lascia ancora a bocca aperta... Live At The Western Front, il concerto in solo di Tom Cora a Vancouver (Canada) il 24 maggio 1986, uscito allora come LP per No Man's Land, torna ora in CD per Klanggalerie: "If you have not heard this record, then you have no idea what one man can do with a cello". Hallelujah Anyway! L'intera serie del quarantennale di Henry Cow - i tre magnifici box con tutti i materiali di studio, quelli dal vivo, i volumetti informativi, gli extra di The Cow Cabinet of Curiosities e qualche altra aggiunta ancora, in tutto 17 cd e 1 dvd - verrà presto ristampata e resa disponibile in un'unica confezione... Holy Cow!